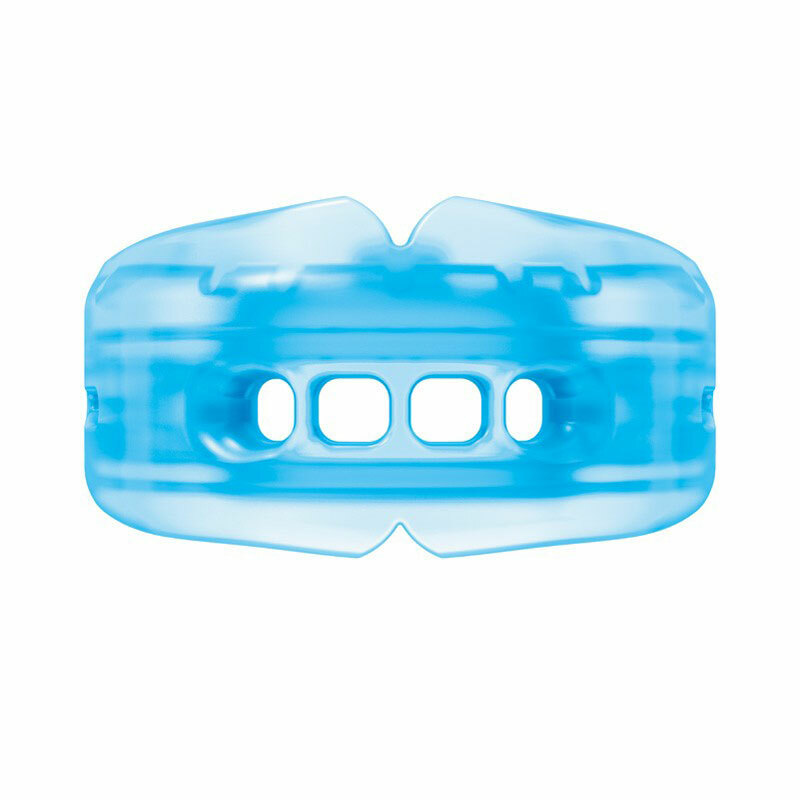 This unique Shock Doctor ® Double Brace Mouthguard has an Ortho-Channel design that immediately conforms to fit both upper and lower brace brackets for instant comfort and prevention from lacerations. Made with medical-grade silicone, this mouthguard is adaptable to changes in mouth structure as teeth adjust throughout the lifespan of your braces. Ventilation channels have also been placed through the center of the mouthguard to allow for an increase in airflow, which can often be problematic for athletes with braces. Manufactured from latex free medical-grade silicone. Senior - 12 years upwards. Excellent fit, very comfortable. Actually found breathing easier with this than with the single brace mouth guard. Brilliant. My son has both upper and lower braces and this fits perfectly. He says it is very comfortable to wear and as it's self moulding there's no need to mess about boiling... Bonus!! My 13yr old son plays sports and currently has both upper and lower fixed braces. The shock dr guard gives comfortable protection. As a parent, knowing his teeth & braces are protected is one less worry x thanks Newitts for stocking good product. The best mouthguard to protect the top and bottom Braces. My daughter loves it. 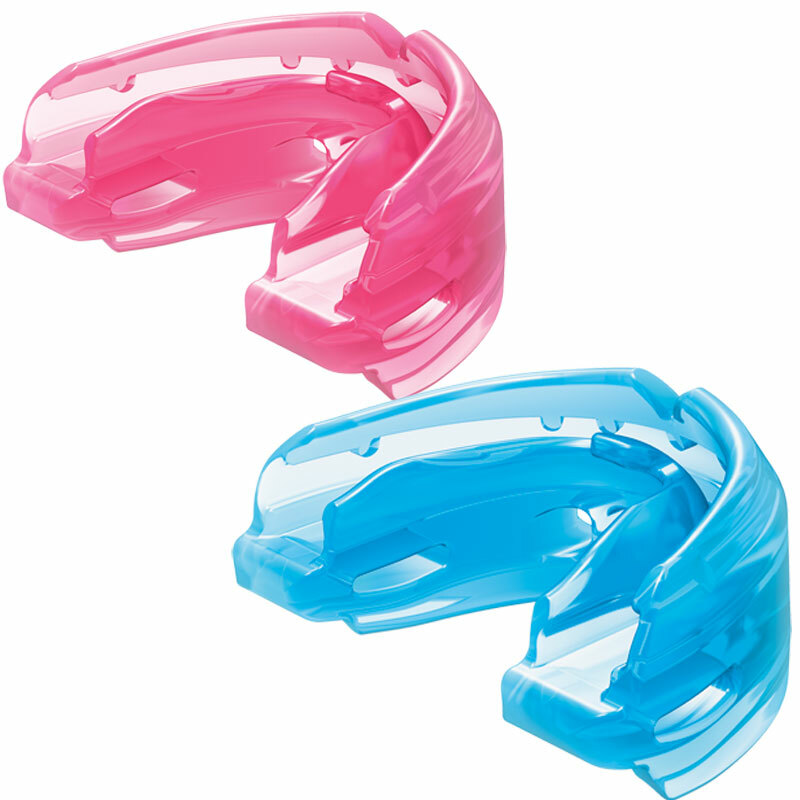 I've been looking for a mouth guard for a long time for my sons they play alot of sports, this is soft and comfortable to use I bought 2 for both my kids it fits really well it doesn't affect the braces, the delivery was quick would highly recommend thank you.